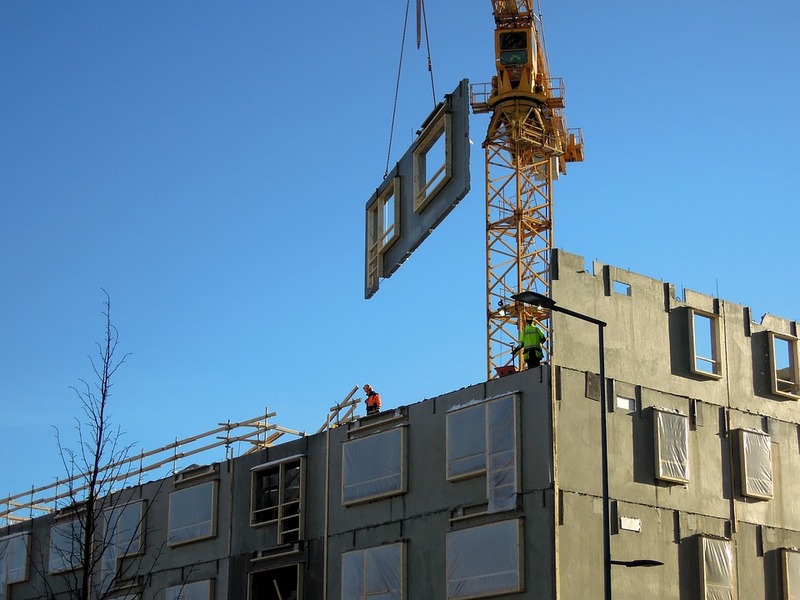 A record 3098 new dwellings were consented in February, up 28.4% compared to February last year and the highest number for the month of February since records began in 1966, according to Statistics NZ. Consents for all types of dwellings were up strongly compared to a year earlier, with the biggest growth occurring in consents for apartments which were up 235% compared to February last year, followed by retirement village units +154%, townhouses and units +11% and stand alone houses +9%. Most of the apartment activity was in Auckland, which accounted for 419 of the 446 apartments consented in February. On an annual basis there were 34,262 new dwellings consented in the 12 months to the end of February, up 9.7% compared to the previous 12 months. Consents were particularly strong in Auckland, where 1354 new homes were consented in February, up 74% compared to February last year. That followed a very strong month for Auckland consents in January. Over the 12 months to the end of February, 13,847 new dwellings were consented in Auckland, up 25% from the previous 12 months. Canterbury also put in a strong showing in February with 448 new dwelling consents issued, up 19.5% compared to February last year (see the interactive chart below for the full regional breakdown). Non-residential building work is also showing growth, with $596 million of non-residential consents issued in February, up 13.3% compared to February last year. In the 12 months to February, $7.178 billion of non-residential consents were issued, up 6.2% compared to the previous 12 months. That included $1.143 billion of retail buildings, $1.089 billion of educational buildings, $973 million of storage buildings, $898 million of office buidlings, $858 million social, cultural and religeous buildings and $774 million of factories and industrial buildings. The total value of all building consents issued in February was $1.926 billion which was up 14.7% compared to February last year, and in the 12 months to February $22.223 billion of building work of all types was consented, up 6.6% compared to the previous 12 months. Good news - and exactly what one might expect with a strong economy and a shortage of accommodation. We can only hope that local authorities operate efficiently and aren't a hindrance to builders, developers and owners/funders. Certainly local authorities will need to lift their game. Agent TTP, if only there really was a shortage of accommodation then we really could expect a doubling of house prices every ten years - lol! It's time for a reality check. There's only a shortage of affordable accommodation. Outside of this, there exists a growing glut of unsold homes in Auckland that are priced out of reach of the local buyer. Only those with their eyes open know what happens next. Retired (agent of doom) Poppy. Do you really believe all that cr#p. One main reason for building homes is to house the growing population in much needed quality safe accommodation (two m's by the way). That will continue as long as there are people. This reminds me of a comment from 2017 from a property investor group. ICYMI, here is the comment. Many property investors are extrapolating historical property price changes into the future. Historically prices have increased 9.9% per annum since 1965. Many property investors believe that prices will continue to double every 10 years. Is this price increase sustainable? Let's assume that there is no hyperinflation in NZ, like Germany experienced in the 1930's, Zimbabwe experienced in 2000's, and the current situation in Venezuela. For hyperinflation to occur in New Zealand, would mean for the RBNZ to abandon it's 1-3% inflation target, and focus on different macro-economic metrics - that seems like a low probability scenario given the current environment & legislation in New Zealand. So with a low inflation economic backdrop, let's assume property prices in Auckland double every 10 years (that means house prices grow at 7.2% per annum). Let's extrapolate what house prices have done in the past 52 years, and extend that into the future - what does the future look like for Auckland house prices? You can pick at which point that Auckland house prices might start to seem a little ridiculous to you. What the past more accurately showed over time was house price to income ratio was 3x. But those variables decoupled from each other approx mid 90's. The thing to take out of your examples is that something is going to happen to correct the possibility of that happening, and I think we won't have to wait too much longer to find out. Exactly. He conveniently starts his "analysis" in the mid-eighties around the time banks were given free reign to start lending aggressively. As you have pointed out he's failed to identify that as property prices can't continue to outstrip income (due to ballooning debt) forever. If there's a shortage of so-called "affordable accommodation" then its price is destined to rise. Market forces will be at work to ration out the shortage. Thus, anyone who's looking for an "affordable" dwelling would be well-advised to purchase as soon as possible, to head off the price increases. So, not being able to refute what I've said, you attempt to confuse/confound the issue. Property prices doubling every 10 years - that was a common belief in 2016 at the height of property prices in Australia. In 2016, there were arguments that there was a housing shortage in Sydney, and population growth. Also remember, Sydney is still experiencing population growth in 2019, whilst property prices are going in the opposite direction. Yep, heard it all before. But there's plenty of ostriches out there with their heads buried in the sand who think that it could never happen here. Many property investors are using past performance to invest in property. This is how many highly leveraged property investors can get caught out at extremes. - 11% buy properties as others are doing it "the herd effect"
Five story apartment blocks 20km from the city centre with no rapid transport are not the answer. I'm no fan of living in small, noisy apartments. I find them oppressive - and I can't be bothered with body corporates and uncooperative neighbours living just through the wall. Give me a stand-alone house, with some real lawn and garden any day. It's much better for quality-of-life and central to a sense of well-being. If there was money to be made doing this, more would be doing it. Building upwards is horrendously expensive. You also need more liberal regulations on land, rather than the over-regulation and NIMBYism that we have now where some try to prevent others in their vicinity from having the freedom to develop their land. I find it strange that consents are at record highs, yet a recent article on interest.co.nz suggested business confidence in residential construction is failing. Aren't consents showing pipeline of work to be done over the next 12-18 months? Hopefully Fritz, or someone else with knowledge of the industry, will be along soon to provide some insight. It's quite simple. It's rear view mirror stuff. Firstly those consents were for February. It is also likely that many developers would have got so far through the process, that they wanted to get to the end point of receiving a consent, even if commercial feasibility isn't looking good. At the very least, this might help them sell their property, if they can't / won't develop their property themselves. I think we'll start to see a differential open up between numbers of consents issued, and dwellings built. To date, a large proportion of consented dwellings get built. I don't think we will see Auckland consents start to decline significantly until June/July, because of this lag factor. Agreed, of course there are certain 'developers' that specialize in only obtaining consent and then selling onto the real developers. The thing to watch for is those developers that would normally develop to full completion start to sell on their consents. Some of them do this because they see the writing on the wall, while others it's because they get the tap on the shoulder from their bank. What they are looking for is the greater fool, and/or the present developer owner has to take a haircut as he passes it on. I'm assuming these projects are no longer looking commercial feasible as the cost of the land + construction can no longer be justified if Auckland prices are flat/falling? Or is it just a cost issue? There will be a mix of factors. There will be some projects, where resource consent was obtained in say September last year, and building consent was issued in February, where in the intervening time costs have changed so much as to destroy feasibility. And you make a valid point that a falling market doesn't help. In a rising market, you know that although costs have increased, you will be able to pass that on and sell for a higher price. There will also be projects which are still feasible. Given the increase in retirement village/, apartment , townhouses dwellings,do the headlines match an actual increase in bedrooms(rooms) on a historical basis . Given the remarkable speed at which TTP can respond , his insight welcomed. this article seems to be completely at odds with this report on interest.co.nz just yesterday? My other point would be that Housing NZ and HLC have a got a big housing programme going. My comments around the industry relate to the private sector. Yes, it would be good to know how many of these consents are Kiwibuild/Housing NZ related.. they aren't exactly subject to commercial reality, so they will keep plowing ahead regardless of what the market is doing. I doubt that KiwiBuild is a signficant feature yet. KiwiBuild numbers are still small and they are included in larger private developments. HNZ developments could be a feature though as they roll out their building plans. Interesting indeed that the number of consents issued in February was up from February last year, however when businesses were surveyed by ANZ in March, their confidence in the residential construction sector plummeted to a 10-year low. The consent figures are what actually happened. The survey results are what businesses think could happen in the future. This graph shows the relationship between between the two. You can see a huge difference in the two points at present. The question is whether this is an anomaly or not. It's worth noting ANZ's survey is done monthly, so it's results can be more volatile than the NZIER's business confidence survey that's done quarterly. As noted by ANZ economists, respondents could've had a knee-jerk reaction to the Tax Working Group releasing its recommendations on a capital gains tax just before the survey was done. Even so, the drop in confidence was so large, it is worth noting. Thanks Jenee. That helps provide a wider context around the figures. Great work! Jenee, it say this is for consents issued... so given the pace at which the council is reputed to work..
is it likely these are for applications lodged several weeks if not months back? Could just be the council getting on with clearing a backlog? Thinking a bit further.. if the new applications stop coming in that frees up staff to work on in-process applications, so approved applications could ramp up then suddenly drop. Where is the expensive part of the process? Is the initial paperwork plus fees the expensive bit? Therefore meaning once you've got that out of the way you may as well proceed to completion for fairly marginal extra expense? Or is it more spread out along the process meaning it might be worthwhile dropping the whole thing if you aren't too far into it? The biggest chunk is in the detailed design and documentation done by architects and engineers. So yes once you've paid that and lodged, generally speaking you might as well keep going till you get approval. I am a cynic like you. Council will some time in the next few months speed up. Not because they have suddenly become competent, but rather because the volume of applications will slow. I also await the usual self congratulatory propaganda from Council's chief......economist to come out soon as to how wonderful Auckland and the council is doing. I have provided comments above. I work in the industry in Auckland, so know what's happening. That's much more important than guessing from economists in ivory towers. Surely there's a formulae for confidence surveys to take into account the fact that its a Labour government in power and Business always takes an attitude to that, and its very consistent. "The consent figures are what actually happened. The survey results are what businesses think could happen in the future"
There's more in the pipeline too. Expect more new residential consents. Not as many as Ireland before their bust, but getting up there. No reason why house prices will not double in the next 10 years, after all nobody has a crystal ball than can see out to next year, let alone 2030 so anything could happen. Its a guarantee they will be more expensive than they are now, its just a question of by how much. Just wondering what do you think are the necessary circumstances which need to exist for house prices to double in the next 10 years? I am also curious if Carlos is talking about Real or Nominal prices. There's a huge difference between the two for investors. No different from the way circumstances have been for the last 50 years CN. Short of some sort of major war or an asteroid hitting the planet and those that are left all go back to living in caves, prices will continue to rise in the long term, its a given. Admitedly it was a couple of decades ago but I once read that the price of coastal properties in Florida during the twenties was so high that after the great depression they never recovered - in other words about 60 to 70 years later they were still less than they were sold for. I can easily conceive of several events that would put Auckland prices down and keep them down more than ten years. However it is a risk I take and being mortgage free a risk I can afford.